Double Down on Apollo X -- Get FREE Plug-ins from Universal Audio! Already own an Apollo X interface? Purchase a second Apollo X16 or X8p, or an Apollo Twin MKII Quad or Duo, and get free UAD plug-ins! See rebate for details. 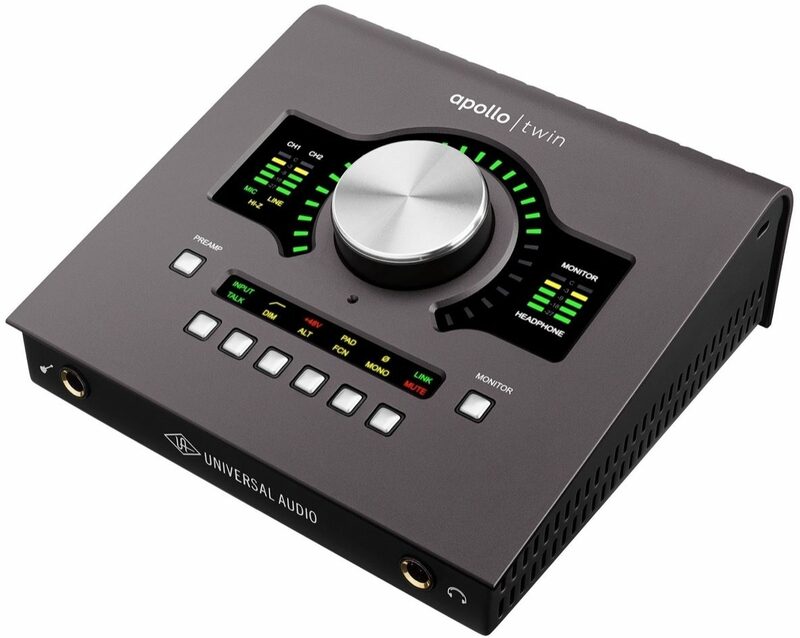 The Universal Audio Apollo Twin MkII is a ground-up redesign of the world's most popular professional desktop recording interface -- delivering enhanced audio conversion with the tone, feel, and flow of analog recording. 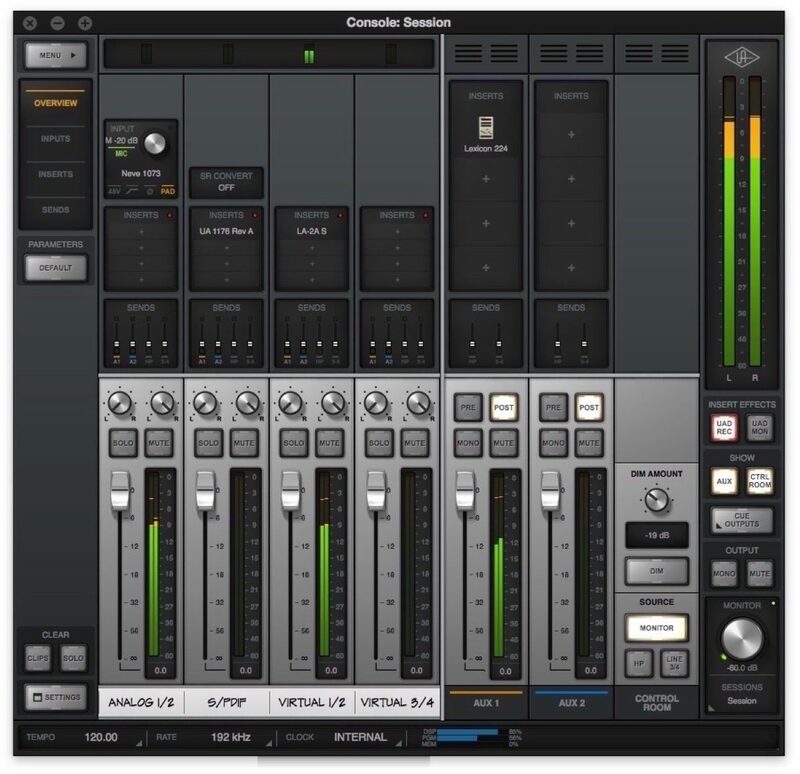 This 2x6 Thunderbolt audio interface for Mac and Windows features available on-board UAD-2 QUAD Core processing, Unison(TM) technology, and the next-generation A/D and D/A conversion you've heard on hundreds of hit records. - A USB-C port with built-in Thunderbolt 3. - A qualified Thunderbolt 3 to Thunderbolt adapter, which connects between the Thunderbolt 3 USB-C port on the computer and the Thunderbolt-equipped Universal Audio product. Note: The Apple Thunderbolt 3 to Thunderbolt adapter (Product ID: MMEL2AM/A) has been found to be incompatible with certain Windows systems in Universal Audio's internal testing. As a result, Universal Audio does not recommend this adapter for Windows Thunderbolt systems. The Apple adapter is incompatible with hot-plugging the adapter into the computer's USB-C port. However, the adapter is compatible with hot-plugging the Thunderbolt cable into the adapter. Note that Apollo Twin MkII does not ship with a USB-C to Thunderbolt adapter, and Windows users may need to purchase an adapter to connect to this interface. For Mac users, the Apollo Twin MkII can be connected to your Mac's Thunderbolt 1 or Thunderbolt 2 port -- just add a Thunderbolt cable. Apollo Twin MkII improves upon the original Apollo Twin's gold-standard audio qUAlity with completely redesigned A/D and D/A conversion -- giving you increased dynamic range and ultra-low THD. This next-generation conversion results in breathtaking clarity, depth, and accuracy in recordings -- as heard on hit records by Kendrick Lamar, Coldplay, Brad Paisley, and more. A Universal Audio breakthrough, Apollo Twin MkII's Unison technology gives you the genuine tone of the world's most sought-after tube and transformer-based mic preamps -- including Neve,(R) API,(R) Manley,(R) and UA -- complete with their signature impedance, gain stage "sweet spots," and component-level circuit behaviors. Based on Apollo Twin MkII's unrivaled hardware-software integration, Unison lets you record at near-zero latency through preamp emulations like the included UA 610-B Tube Preamp, for authentic analog sound unmatched by other interfaces. Unison technology is also found on Apollo Twin MkII's front panel Hi-Z instrument input, giving you dead-on, impedance-matched emulations of iconic stompboxes and guitar and bass amps — like the included Marshall Plexi Classic Guitar Amp and Ampeg SVT-VR Classic Bass Amp plug-ins — and other award-winning titles like the Fender '55 Tweed Deluxe. 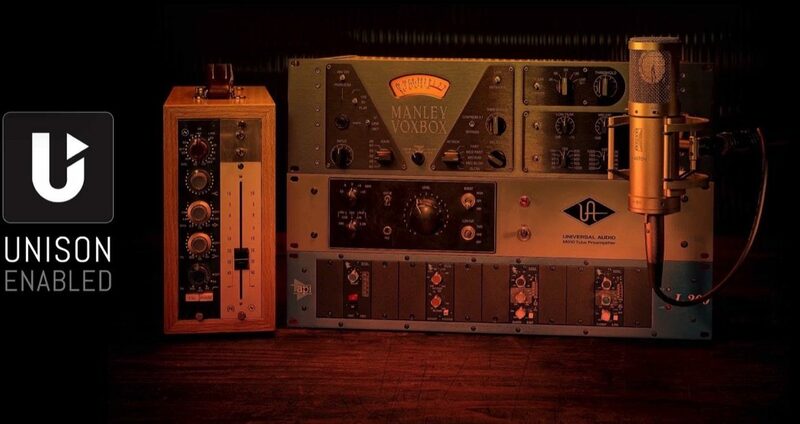 Right out of the box, the Apollo Twin MkII includes the "Realtime Analog Classics" suite of UAD plug-ins -- the UA 610-B Tube Preamp & EQ, Raw Distortion, Marshall Plexi Classic Guitar Amp, Ampeg SVT-VR Classic Bass Amp, legacy LA-2A and 1176LN compressors, Pultec EQs, and more -- so you have a rack full of bonafide audio classics already onboard. Apollo Twin MkII offers greatly improved monitor functionality versus the original Apollo Twin -- with Mute, DIM, Mono, and ALT speaker switching. It also includes monitor remote controls and a built-in talkback mic for easy communication with talent and/or recording slate cues. 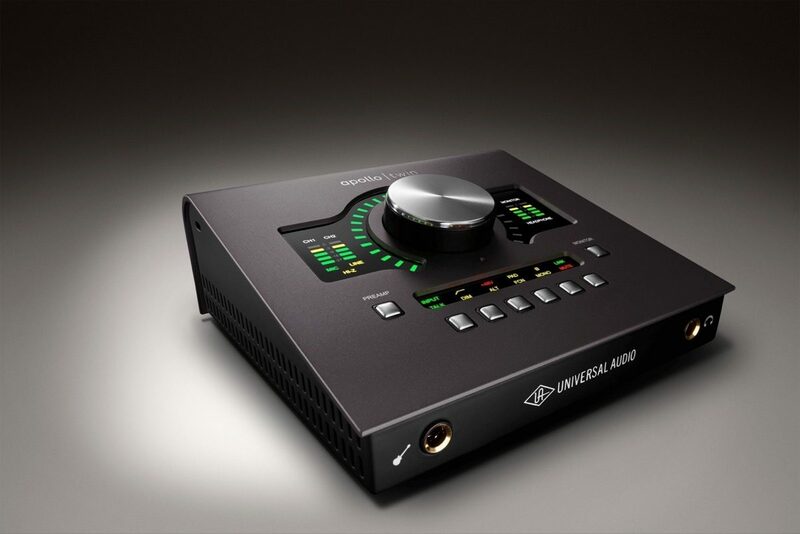 These features, combined with Apollo Twin MkII's scalability, make it a standard for professional desktop recording. 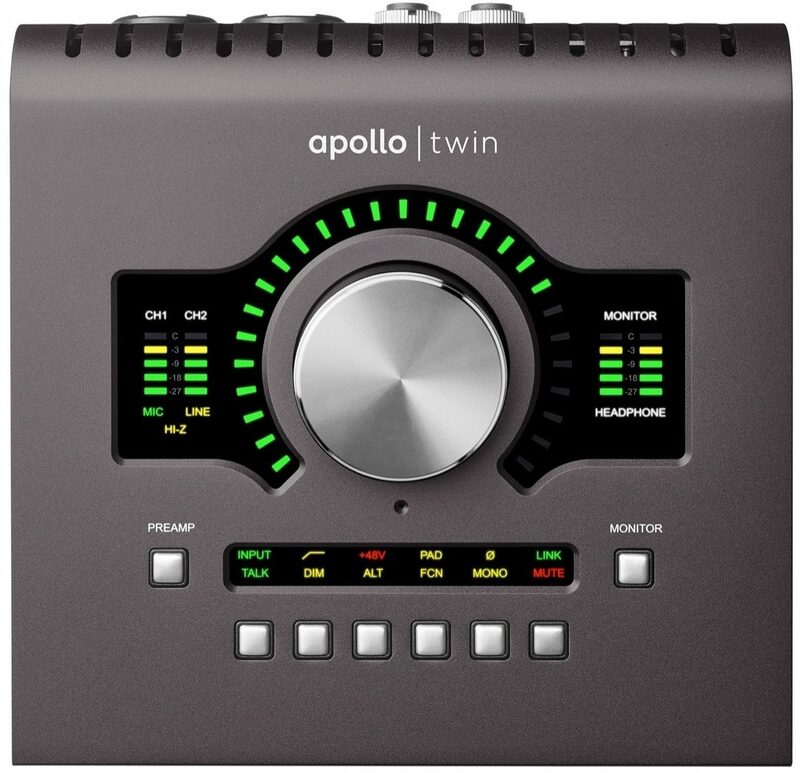 Users of Apollo Twin MkII can combine up to four Apollos and six total UAD-2 devices -- adding I/O and DSP as your studio grows. Once you expand your studio with an Apollo 8, 8p, or 16 rackmount unit, you can use Apollo Twin as a desktop monitor control while still tapping its additional I/O and DSP power. Sound: Top notch “big studio” sound quality is what you get from this unit. Hands down the best sounding unit I have ever used. Sound is better than the apogee unit which this replaced. Feature: The features that sets this unit apart is the onboard DSP and the ability to record through plugins via the awesome unison technology. Other features are great as well i.e. talk back mic, dim, low pass filter, dedicated headphone/monitor buttons. Truly a feature packed unit. Ease of Use: By far the most well thought out and intuitive unit I have ever used. It is a dream not to have to dive through menus and hoops and just be able to adjust parameters in a tactile manner. The unit once detected immediately once plugged into the thunderbolt cable. Set the unit was set up in Logic and it has been flawless ever since. Quality: Both the build and sound quality are immaculate. The device is built like a tank and poses no threat of a short life span. Value: The value far exceeds the price tag with what all you get from this unit. 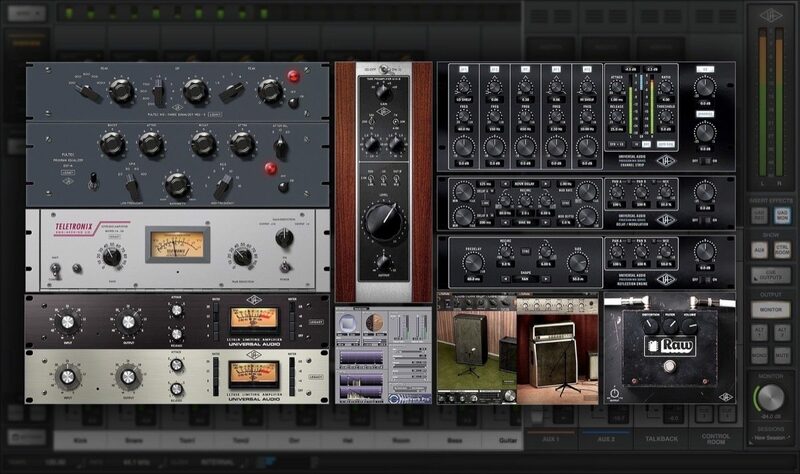 I purchased when UAD offered the extra four free plugins (Neve 1073, Fairchild Collection, Oxide Tape Recorder , Lexixon 224 Reverb) which is and added value of over $1,000 so I couldn’t be happier. Manufacturer Support: My only involvement with UAD support was to register the device which was just simply cool proof easy! Other companies should follow suit with registration protocol. The Wow Factor: The interface does give if a wow factor due to the professional look of the unit. UAD is synonymous with quality for those in the know. Overall: The apollo twin mkii quad has been the most significant upgrade to my studio hands down. You truly feel the connection between your DAW (Logic Pro X in my case) and the interface. The sound quality and ease of use makes the unit a dream to work with. The buttons are well thought out and positioned in a manner that makes for a very intuitive experience overall. 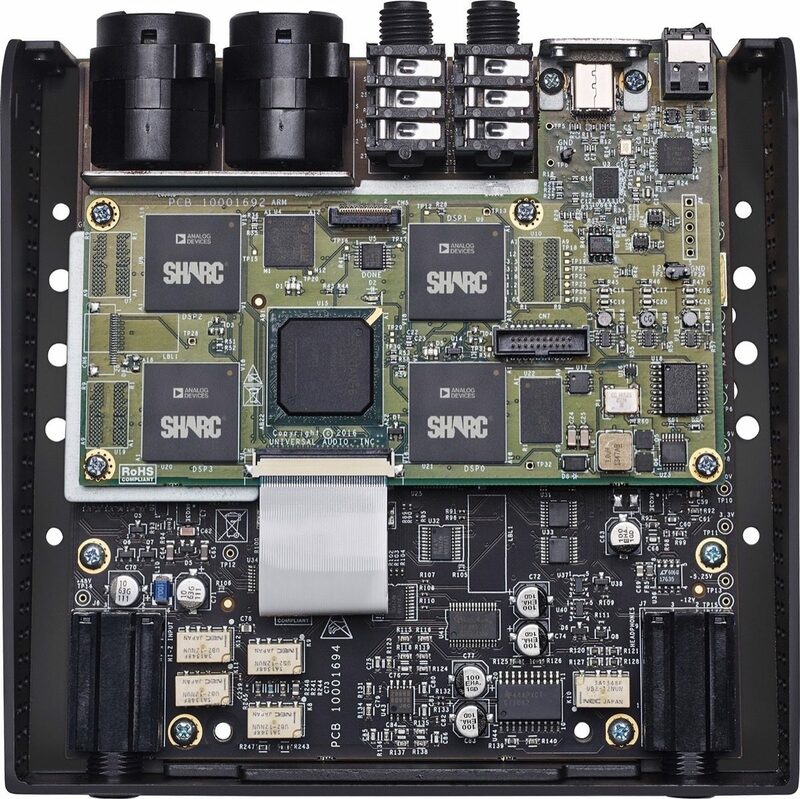 The most significant feature is the onboard DSP chips which takes the workload off of your computer. That feature along with unmatched effects plugins and the capability to record on the way in through true world class preamp emulations with undetectable latency is immensely powerful. Truly a industry standard unit. Buy this and have no regrets for settleing for something much more inferior and subpar. Style of Music: Electronic, Pop, R & B, Hip -Hop.